S. M. Sultan was one of the greatest personalities in this district. His full name is Sheikh Mohammed Sultan (10 August, 1923 to 10 October, 1994), was a Bangladesh avant-garde artist who worked in painting and drawing. His fame rests on his striking depictions of exaggeratedly muscular Bangladeshi peasants engaged in the activities of their everyday lives. For his achievement in fine arts, he was awarded with the Ekushey Padak in 1982; the Bangladesh Charu Shilpi Sangsad Award in 1986; and the Independence Day Award in 1993. His works are exhibited in several major collections in Bangladesh, including the Bangladesh National Museum, the National Art Gallery (Bangladesh), the S.M. Sultan Memorial Museum, and the Bengal Foundation. Sultan was born in Machimdia village, in what was then Jessore District, British India (now Narail District, Bangladesh) on 10 August 1923. After five years of primary education at Victoria Collegiate School in Narail, he went to work for his father, a mason. Even as a child he felt a strong artistic urge. He seized every opportunity to draw with charcoal, and developed his talent depicting the buildings his father worked on. Sultan wanted to study art in Calcutta (Kolkata), but his family did not have the means to send him. Eventually, he secured financial support from the local zamindar and went to Calcutta in 1938. There poet and art critic Hasan Shahid Suhrawardy restyled him S. M. Sultan and offered him accommodation in his home and the use of his library. Sultan did not meet the admissions requirements of the Government School of Art, but in 1941 managed to get in with the help of Suhrawardy, who was on the school’s governing body. Under Principal Mukul Chandra Dey the school deemphasized the copying of Old Masters and moved beyond Indian mythological, allegorical, and historical subjects. Students were encouraged to paint contemporary landscapes and portraits expressing original themes from their own life experience. The art gallery in Narail at S. M. Sultan Memorial contains collection of his paintings. A significant portion of first and second floor is occupied by his paintings. This artist was concerned about preserving his works. S. M. Sultan had a boat by which he used to have a pleasure trip over the river Chitra. This boat was placed beside his house, also beside the river itself. A boat race locally known as Nouka Baich used to hold every year at River Chitra. It is probably during the birth day of the artist. It will be best if you can visit the place during that time. It is located in Narail district of Khulna division. After reaching Narail you may take van or rickshaw from anywhere from the town to come here. GPS Coordinate of the S. M. Sultan Memorial is (23° 9’29.65″N, 89°30’13.01″E). You can observe the magnificent view of river Chitra. Also, you can have a short boat trip in the river. There are no eating facilities in the memorial. If you are hungry you have to search for restaurants or fast food shops nearby. Shilpacharya Zainul Abedin Sangrahashala (শিল্পাচার্য জয়নুল আবেদীন সংগ্রহশালা) is an art museum located in Mymensingh District. It was built in the memory of great Teacher of Arts " Zainul Abedin ". This Art gallery was established in 1975 and it contains various collections of the artist Shilpacharya Zainul Abedin (1914–1976). 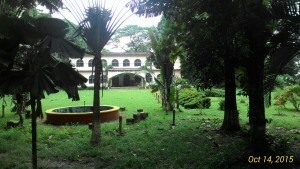 The art gallery was established in Mymensingh, where the artist spent his early days. Abedin, a pioneer of the country's modern art movement, created works of art on subject matters such as the Bengal famine of 1943 and the peoples' independence. The museum is located in the area of shaheeb quarter park on the bank of the old Bramaputra River. Each year in December, the gallery authority organizes an anniversary program that includes a discussion on the life and work of Zainul, as well as a painting competition. While the art gallery does not issue publications, Bangladesh National Museum, which has a collection of 800 paintings by Abedin, issues poster and card on behalf of the artist. Shilpacharya Zainul Abedin Sangrahashala is a branch of the national museum. Born in Mymensingh, Abedin drew pictures sitting on the bank of Brahmaputra River. While studying at local Mrityunjay (মৃত্যুঞ্জয়) School, he won the first prize in a Bombay Chronicle art competition. Subsequently, the school's headmaster sent more of Abedin's paintings to India. Devoted to his art, the school teachers encouraged him to go to Kolkata and, in 1933, Abedin was admitted to Calcutta Government Art School. In the 1950s, Abedin began a movement of collecting neglected pieces of Bangladeshi arts works that were scattered all over rural areas of the country. The artist remained attached to his hometown, prompting the establishment of a museum in Mymensingh on 15 April 1975 in a building owned by Mr. Barden who later sold it to a member of the Viceroy's Executive Council. The gallery opened with approximately 70 pieces of art that included oil paintings and drawings by Abedin during his tours abroad. The gallery was initially run by a committee that was assisted by a local administration. In its early years, it had 77 of Abedin's paintings but in 1982, seventeen pieces of art were stolen from the museum. Only ten of which were retrieved in 1994. Renovations began in 1997. Two year later, the National Museum took charge of the gallery and completed renovations in 2004 on the 3.2-acre facility. This included construction of a main gate, ticket counters, and walls. A projector, sound system and de-humidifier were installed. An artists' cottage and an open-air stage were added. There are currently 53 oil paintings in the archive. The collection includes various themes and subjects, though most depict scenes of rural Bengal. Besides the original paintings there are 16 replicas and 75 photographs on Zainul's life and works. There are also 69 mementos on display such as brushes, brush holder, bottles of turpentine and linseed oil, carbon box, charcoal, wax, colour palette, colour tube, easel, ink pot, leather portrait holder, metal clip, reed pen, scraper, spatula and his spectacles. The mementos are situated in glass boxes in the midst of the gallery.